We take great pride in our community outreach projects. These projects help us fulfill part of our club's mission: "...community beautification, promotion of better horticultural practices, and encouragement of all forms of conservation." 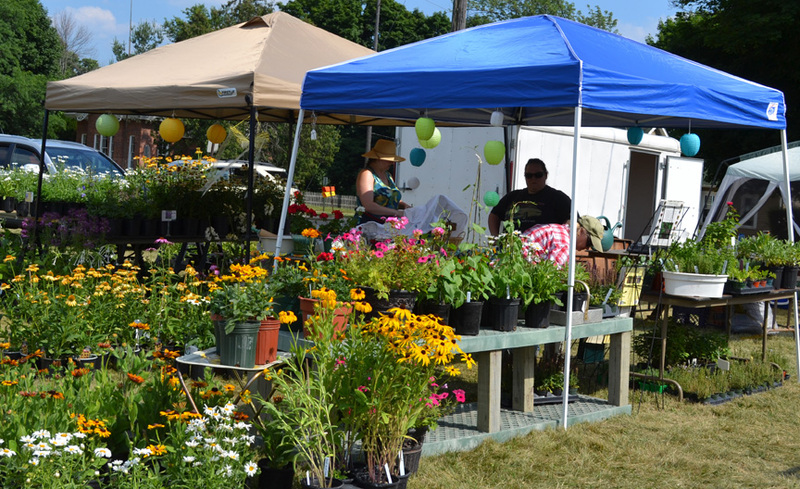 Over its 25-year history the club has taken part in more than 20 large long-term projects, dozens of annual projects, and contributed funds to over 30 local organizations for their garden-related projects. 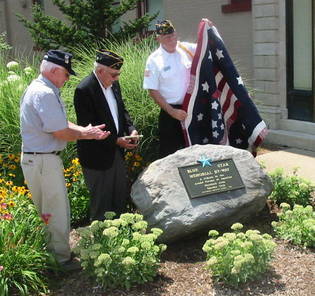 Michigan's 64th Blue Star Memorial was dedicated on July 15, 2012. The Blue Star Memorial Program was developed by the National Garden Clubs, Inc. in 1945 to honor all Veterans of the Armed Forces, past, present, and future. The Marshall Area Garden Club By-Way Marker was placed and dedicated in Carver Park Gardens, located on East Michigan Ave. The club and other groups have raised over $8,000 to repopulate the City with the American Liberty Elm trees. This is the Dutch Elm disease resistant type developed by the Elm Research Institute in New Hampshire. 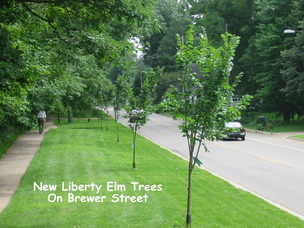 In 2009 and 2010 25 street sized trees were planted with the help of Boy Scout Troop 337. 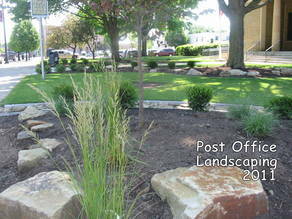 In the fall of 2010 work began on new landscaping installed in the front yard of the Marshall Post Office. A major element of the design is the use of large ledge rocks to complement the sandstone used for the structure. 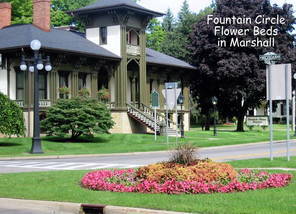 Landscape Architect Tim Banfield donated the design and the Marshall Area Garden Club, Marshall Rotary Foundation and the Marshall Area Community Foundation provided funding. Family Tree Garden Center was the landscape contractor for this $10,000 project. Four island beds of annuals are planted and maintained each spring and summer by members. 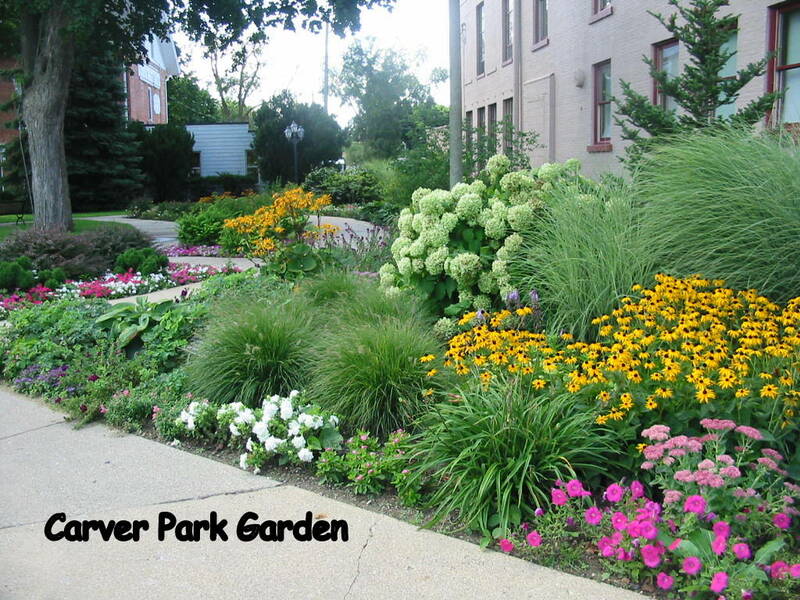 These plantings add to the beauty of the circle at the west end of the downtown area. 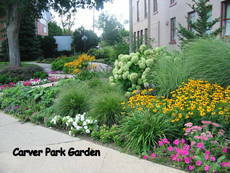 Perennials, annuals, shrubs and trees were planted in 2000 and are maintained by club members. This beautification project has resulted in increased use of this City Park on the east end of our downtown area. 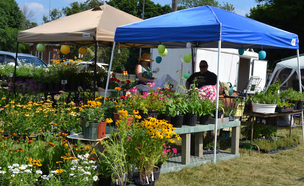 In the past, club members had two plant exchanges prior to regular meetings in April and May. The public was encouraged to participate, stay for the meeting, and join the club. This project has ended.